Another favorite from the grill is called ‘çöp şiş’ (chope’ shish’), which literally translates as ”bits on a stick”. 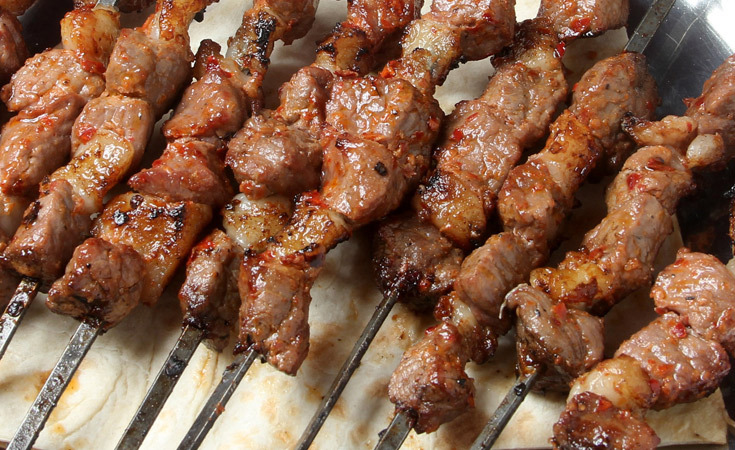 ‘Çöp şiş’ is actually lamb scraps and fat, the “garbage” or ”bits” left over when trimming perfectly symmetrical cubes of meat for classic shish kebab. These small bits of boneless meat are pounded together with garlic and tomato, then left to marinate in a mixture of black pepper, oregano and olive oil. Once laced on small wooden skewers, the bits are thrown on the hot grill like the other kebabs.